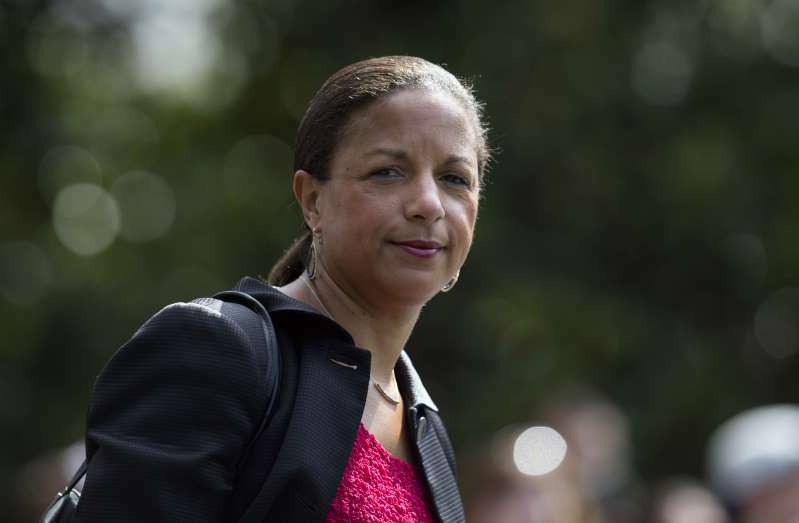 President Barack Obama's national security adviser, Susan Rice, says she'll decide after next month's midterm elections whether to run for the Senate from Maine in 2020. Rice is weighing whether to try to unseat Republican Sen. Susan Collins, whose decision to support Brett Kavanaugh was key to his confirmation to the Supreme Court. Speaking Sunday in New York during The New Yorker Festival, Rice said Collins "put party and politics over her own stated principles" and that by supporting Kavanaugh "has betrayed women across this country." Kavanaugh is accused of sexually assaulting women when he was in high school and college. He emphatically denies the allegations. Rice, a Democrat, had hinted her interest in a Senate run in a tweet on Friday, but then seemed to walk it back.